Many thanks to Alan Beard for compiling this list of TSFG publications. Tindal Street Fiction Group have published several anthologies, and various other publications. It all started with a collection of nine stories, simply entitled Tindal Street Fiction, in 1984. Leon Blades’s Six Caribbean Stories (1985), followed quickly after. 1986 saw the publication of The View from Tindal Street. It was a decade before the next publication, Mouth (1996), another anthology of nine stories. 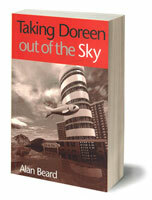 A year later came Alan Beard’s Taking Doreen out of the Sky (which was rapidly re-published by Picador in 1999). Following the success of Mouth and Taking Doreen Out of the Sky, Tindal Street Press was set up. TSP was a separate organisation from the writers’ group, however it did publish Going the Distance in 2003. This was a ‘best of’ anthology of 20 stories to celebrate 20 years of the group’s existence. 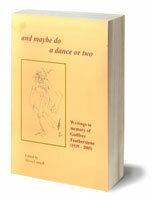 In 2009 two books were produced to celebrate the lives of two members who died in 2005. 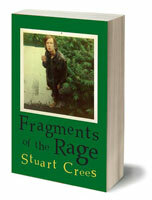 Stuart Crees’ Fragments from the Rage contained selected stories and an extract from the novel he was working on, and and maybe do a dance or two was a tribute to Godfrey Featherstone, edited by Myra Connell. This featured work by Godfrey and tributes to him form TSFG members and others, including a poem by David Hart. Tindal Street Fiction Group will be publishing a new collection of stories to celebrate 30 years of the group in 2013, titled The Sea in Birmingham and edited by two longstanding group members, Gaynor Arnold and Julia Bell.